It’s hardly the year-long delay Republicans had fought for during the government shutdown, but the Obama administration announced on Monday it would move back the deadline to sign up for coverage by six weeks, to March 31. 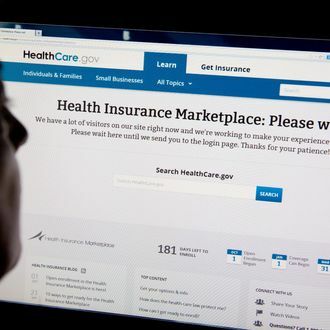 It was a move the White House had teased as a tweak to Obamacare, but not one born of the website’s troubles. Rather, this fixes an entirely different problem between the deadline to sign up and the penalty for going uncovered. If only patching up the website was so easy.